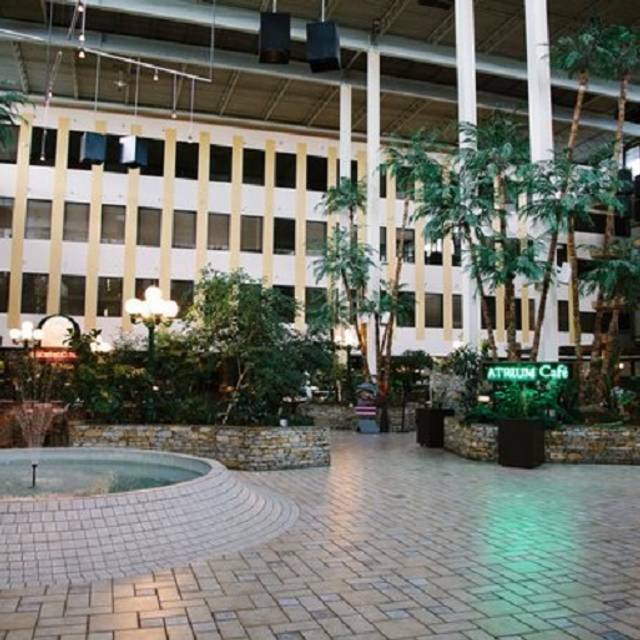 For the most convenient meal in town during your stay at Radisson Hotel Edmonton South, make the short walk from you room to the lush indoor courtyard, home of Atrium Restaurant. Sample fresh and flavourful dishes for a breakfast buffet, lunch and dinner, all served in an inviting atmosphere with a high ceiling, a decorative rock wall and vibrant greenery. Saturday evenings feature a prime rib and seafood buffet, while Sunday mornings welcome a hearty brunch menu. The staff made the experience truly special. The food was good and the atrium is pretty but the staff were the true gems here. Great service and delicious food! The staff here also really listened to my reservation request for Valentine's day, which was quite accommodating. I would definitely recommend and come back for another reservation at the Radisson Hotel! 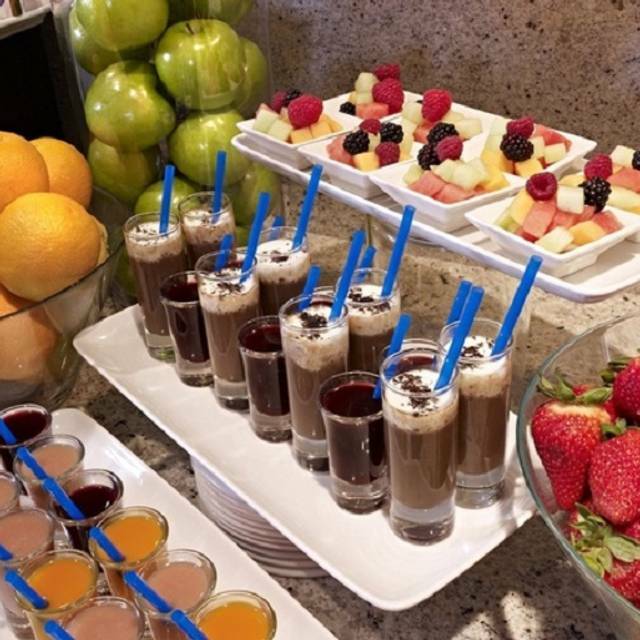 We had New Year's Day Brunch in the Atrium and were very impressed with the friendly and professional staff. There were a lot of food choices and the selections we tried were delicious. We went for the Christmas buffet. The food was very good and there was lots of variety. The coffee was very bad snd rhe service was very slow as there were very few servers. Not bad overall, but not remotely close to being a $37 buffet value. We had a wonderful family brunch with great selections and quality and the place is beautiful. The Atrium never disappoints. The food is fresh and the selection is vast. This is a great place to have an up-scale brunch. The food selection is amazing, something for everyone. Every bite was delicious. The brunch is a great way to spoil youself. So good!! Food was mostly cold, unless you had the omelet. Servers were trying but there were very few of them. Father's Day brunch was fabulous! Great selection at the buffet. Delicious and fresh food. Super service. Our party of 4 thoroughly enjoyed brunch on Easter Sunday. Great variety of food and all delicious. Food was good, but my reservation didn't exist, at least the hostesses didn't confirm that I had one. When I told them my name, they seemed very confused and asked me to repeat my name several times - and it's not a difficult name. It became clear that they did not have my reservation. Very strange that I am getting a follow-up e-mail about my experience when the reservation I made didn't even go through?? Maybe your survey should ask about the online reservation process instead of the food and ambiance of the restaurant. When we arrived at our reserved time the restaurant was closed. We had to interrupt the waitress who was hanging all over the servers and she was not impressed. She did not believe we had a reservation. We showed her our reservation. She asked how we could possibly have made that reservation and too bad but they were closed. There was a full serving table of food that I can only assume was thrown out. This was to be our Christmas diner. Of course nothing was open after we were turned away, so McDonald's it was. I will tell anyone who will listen what a horrible place this is. We will never be back to the Atrium or stay in a Radisson ever again. They should be ashamed of their lack of customer service. And on Christmas? Wow. We went for Christmas Day. Originally it was a sit down dinner, and in December, I was phoned, and it had been changed to a buffet. I asked what the buffet would be serving and thought it sounded ok. The buffet was very poor. It was not monitored at all. There was food everywhere and it was a general mess. Half the serving spoons/tongs were somewhere else, where ever people dropped them. I have an allergy to shrimp, and once I saw all the cross contamination, spoons, and food bits everywhere, I just walked away. The dessert area was the worst, it was just plain messy and gross looking. There just wasn't enough staff. We couldn't order any cocktails, only beer or wine, and only the few brands they had out because the bar was closed. There wasn't enough wait staff and just getting another glass of wine was impossible. We were not impressed. The food tasted so so. But for a Christmas buffet, I expected the food to be great. We have dined here as a family for several Christmas dinners but found the meal this year to be a little bit lacking. I don't know if it is because of the time we came or if it was a change in kitchen staff but it really wasn't very enjoyable this time. The food that was supposed to be warm was cold, and there wasn't enough festive meal options. There were a lot of cold options but again, not very festive to me. I would have liked to see more hot vegetables and Yorkshire puddings. This was our second year celebrating Christmas Brunch and was disappointed at the freshness of the food. Our seating was for 12:30pm so maybe we had the leftovers from the earlier seating. I had to ask someone to replenish the chocolate fountain and the strawberry sauce for the cheesecake. The sushi rolls were just meh. The spread was definitely not as scrumptious as last years Christmas Brunch, which was delicious, so we were quite disappointed. On the other hand, our server was very attentive and friendly. Most of my table had the buffet so I can't really comment on that. It looked like the spread was good. I ordered off the menu. My scrambled eggs were overly wet and were cold in the center. My bacon was overcooked. I typically don't eat breakfast out very often as it is so easy to feel like you are not getting value. I can cook breakfast at home and get it bang on 95% of the time, so I may be overly critical of the Atrium, but if I'm paying $16 for breakfast... it should be top notch. This wasn't even passable. Very disappointing! 4 adults for Sunday brunch $146 pre-tip! Food was mediocre, nothing fresh and the eggs benny were the saddest I have ever seen. Took over 10 minutes just to get a hot water refill for my tea. Will never return and would NOT recommend this brunch to anyone!! This is my go to place for Sunday Brunches. It never disappoints and has a good variety of food. I do love their coffee. Need to update their food prices on google. Food prices that were on google were from 8 years ago. We were seated before the Sunday Brunch opened, even though we informed them we were for the Sunday Brunch. We were prevented to have access to the food offered by the SB, and even one of my daughters was told she could not get some food from one of the tables. Said that, we began eating breakfast for the dishes offered for the breakfast brunch, which has a lower cost. When I complained to the person in charge, she dismissed my complaint saying that she could not do anything to prevent it. Very nice ambiance for a meal with friends. Staff was friendly, a bit slow to attend about 10 minute wait to come by. After that, they were suitably paced to check in and gather dishes, inquire about the meals and answer questions. The buffet setting was unique in that they were more like stations. In a way, it made for good crowd control. As for the food, I enjoyed the prime rib, although a bit skimpy on the serving side, but I guess I'm used to thicker portions. There was a pasta station but I opted out of it. The seafood station was more geared for cold seafood. It would have been nice to balance this with warm seafood. Selection for seafood preparation was minimal - cold shrimp, crab legs and mussels. There were more over at the sushi station. The sushi station with salads was adequate, and I give this a bit more points in that there was a little more variety. The hot foods sadly offered chicken and fish as additional meats. I supposed preparation was quicker and were crowd friendly these days - pork being more of a lesser choice to meet religious needs. While I enjoyed what I selected, nothing stands out for a second helping. Desserts were so-so. Given the lackluster cupcakes, mouse and cakes, I was glad for the versatility of the chocolate fountain and fruit to enjoy with. I would like to try it out one more time for brunch just to see how food presentation and choices compare to the evening buffet. Good selection of food - crab legs, muscles, and a pretty good assortment of brunch items like custom omelettes & eggs Benny. Also a reasonable number of non-breakfast items; pasta, vegetables, potatoes, etc for those that aren't keen on breakfast foods. 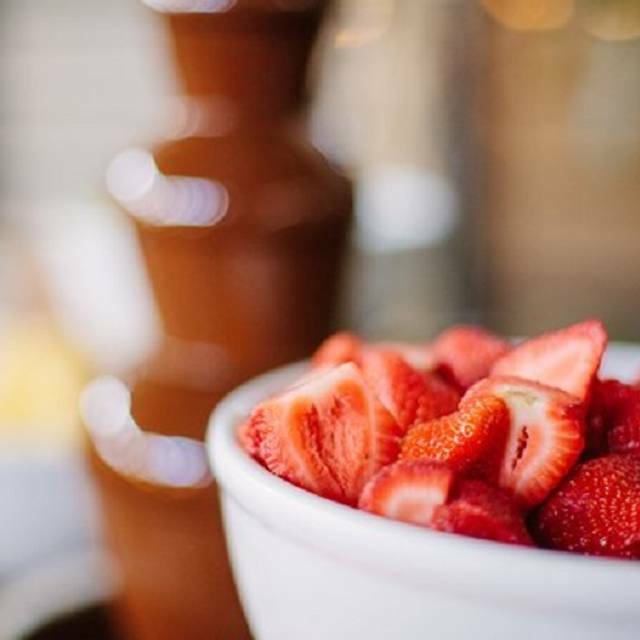 Good desserts, including a chocolate fountain. "Chocolate" in fountain was pretty lame - had a grainy texture and wasn't the best quality for sure. Cost is a little steep, especially when you have a teenager that doesn't eat much ( yes- those exist and he is male!) Expensive for a family - you could spend less on a good quality dinner. The hostess on Sunday Sept 3rd was awesome. Her name escapes me now, but she was really friendly, happy and helpful - she even found some Nanaimo squares for my daughter and I and delivered them to the table. It is rare to find servers that have a great disposition and really make customers feel welcome, so we were really happy with that aspect of the brunch experience. Excellent spot for everyday dining or special occasions with an affordable menu and beverage options. Food was Good, but due to getting a late reservation, they started to close the buffet down at 2 pm. We only had 30 min of the hot food and then they kept the desserts for an extra half hour. Would have been nice to know ahead of time or I would have changed the reservation time to earlier. One of the staff came to our table and we thought they were going to keep the hot food out for an extra half hour but then they started to clean up right away. I would have expected better for Fathers day..
We were really looking forward to the Sunday Brunch. We booked this two weeks ago. My mom was celebrating her birthday on June 18th and when I made the reservations online I put a request in to have a piece of cheesecake with a candle brought to our table to give to her. That did not happen.No mention of it by the server. 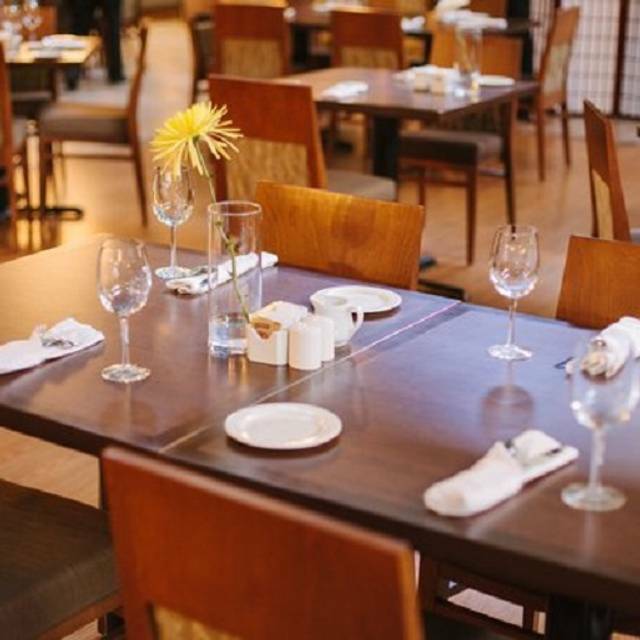 We have been there before and really enjoy the food but the service was very very poor. The server never came back ONCE, the entire time we were there, not even to clear our plates, my husband had to take them to another table for clean up. My husband went and got a pitcher of water for us since ours wasn't replenished. I understand it was father's day but we were there early, 11:15, so the place was not that busy. I just think this server needs more training. For that she got ZERO tip from us. We never do that but felt she deserved it. Great Easter Brunch - huge buffet - fun for the kids with a colouring table and rabbits to pet. We love the Atrium for Sunday Brunch, but especially at Easter. The choices are wonderful with something for everyone and then some! They bring in bunnies for the occasion which delights young and old alike. Our service was excellent and the buffet stations were well stocked and maintained. This is a great family get together place. Expect it to be on the pricier side. Still, good food and an interesting decor (very atrium in the 1970s).